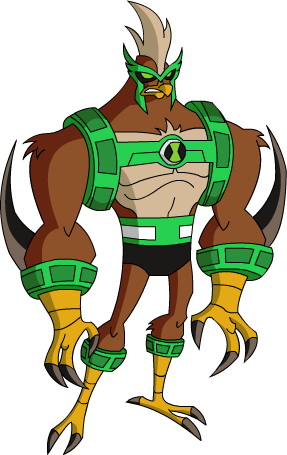 My Top 10 WORST Ben 10 Aliens | Superhero etc. Hello interweb, Nate here! So this summer, I plan on reviewing every single Ben 10 series (and hopefully movie) from the original 2005 series to the reboot. Ben 10 has been a special show to me that has had a huge effect on my childhood, so I wanted to spend some time on this blog showing how great the series is. But unfortunately, with my college finals coming up, I don’t have a lot of time to work on these reviews yet. 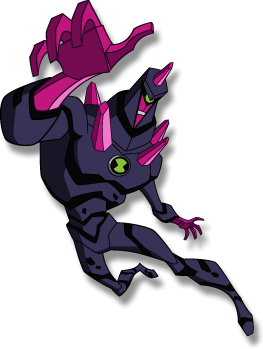 So until then, I decided to make two top 10 lists back to back: my favorite and least favorite of the Ben 10 aliens. As you can tell by the title of this article, you’re looking at my least favorite first. The worst of the worst! (In my opinion). My favorites will be uploaded later today. With that said, let’s begin! Be aware, these are my personal least favorites. I want to make sure I say this because I’m pretty sure I have some unpopular opinions among the Ben 10 fandom. How I judge an alien is usually based on the following: Their designs, their powers and abilities, and how well they compare to the rest of the omnitrix’s aliens. Another thing that may influence how much I like an alien could be how they were used in the show. Oof, like I said. I have some unpopular opinions. Let me make a few things crystal clear (hehe). Chromastone is not bad alien. It’s not a weak alien and it has it’s uses in battle. My biggest gripe with Chromastone is really two fold. First, I just don’t find his design all that interesting. He comes off to me as a Diamondhead rip-off just with different abilities. Said abilities, secondly, being done before in a similar fashion with Upchuck and has been done since with Feedback. Now granted, Upchuck’s abilities mostly deal with converting solid matter into energy bombs while Chromastone and Feedback simply absorbs and redirect actual energy (electricity, lasers, etc.). Still, neither in his abilities or his design have I ever really found anything I cared about when it came to this alien. At the same time though, he is useful in battle and the mythology surrounding his race is somewhat interesting. So, this makes him the very best of the worst. Now, I actually think I hold the popular opinion here when it comes to this alien so I hope we can at least agree on this guy. 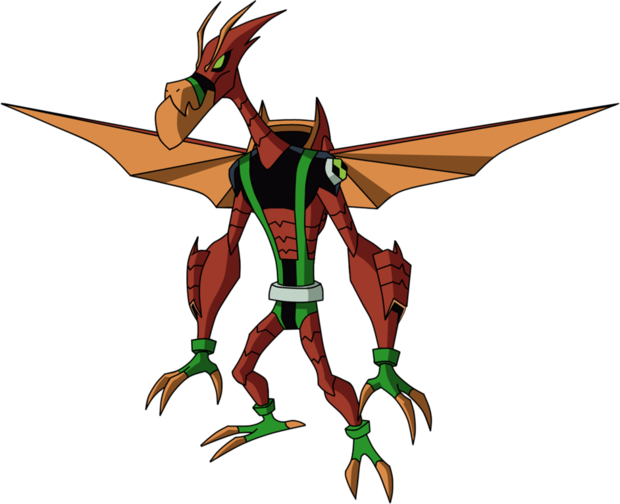 Fasttrack was created for Ben 10: Ultimate Alien simply because the creators didn’t want to bring XLR8 back. Why? Heck do I know! There’s just no redeeming quality to this alien. He’s a bigger XLR8 rip-off then Chromastone is a Diamondhead rip-off. I mean, at least Chromastone has different abilities than Dieamondhead and a different color scheme. Fasttrack shares XLR8’s color scheme (black and blue) and his powers (super speed). It’s even been confirmed by the creators that XLR8 is faster than Fasttrack. Just, why? Granted, Fasttrack is suppose to be slightly stronger than XLR8 in terms of strength rather than speed, but being a speedster this doesn’t do anything for him. Ben 10: Ultimate Alien brought back quite a few aliens from the original series. Four Arms came back, Diamondhead came back, Cannonbolt came back, even Wildmutt came back. Why not XLR8? Why did you have to go out of your way to create an entirely new alien that is barely any different from XLR8 when you could’ve just used XLR8. Hell, maybe create an entirely new alien! Like, new new, not rip-off new. Ben 10: Ultimate Alien gave us Jury Rigg and Clockwork and those two were completely original. Aaaaand back to the unpopular opinions. Now, similar to the last two, my biggest problem with Echo Echo comes with how he compares to other aliens, but almost in reverse of the previous two. Fasttrack I didn’t like because he was literally created into redundancy by aliens that existed before him. Echo Echo is the opposite, I dislike him because he made previous aliens that I liked redundant. In the original series, the episode “Divided We Stand” gave us the alien Ditto. Ditto had the unique ability to clone himself seemingly without limit. His biggest weakness was that all of Ditto’s clones are linked so if one experiences pain they all do. Plus his design and personality just screamed Yako Warner from Animaniacs which made me really like him. 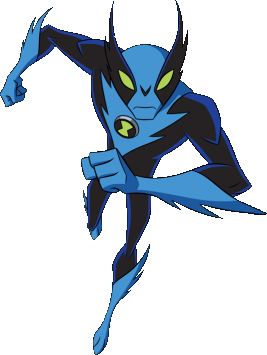 So then Ben 10: Alien Force came out and created Echo Echo. Echo Echo also has the ability to clone himself. However, Echo Echo can clone himself faster, his clones aren’t linked to each other, and he has a sonic scream to boot. Does Ben even need Ditto anymore? I like Ditto’s design and personality better plus I have a level of nostalgia for that alien specifically, but with Echo Echo around why would Ben ever need to turn into Ditto? Echo Echo is better in every way Ditto is. If Echo Echo’s only power was a sonic scream I’d be happy, but since his cloning abilities overshadows an alien I actually really liked then this alien just bug me. Why does Ben have so many electric aliens? Brainstorm, AmpFibian, Buzzshock, Shocksquatch, there’s too many!!!! I actually didn’t even notice this until the Ben 10: Omniverse episode “Max’s Monster”. If you’ve seen that episode, you know what happens. Long story short, an alien/human hybrid with a thirst for energy forces Ben to constantly turn into his electric guys so he can feed of their power. This episode basically made me realize how much the writers of the show went overboard with the electric aliens. So, since Frankenstrike is my least favorite of the electric guys, I decided to put him on here. The alien you are currently looking at is Astrodactyl. He’s an alien pterodactyl with a jetpack. Why? Ok, this alien comes from the same planet as Humuhousaur, Terradino. Which I think that concept alone is pretty cool. A planet full of dinosaur-esque aliens? That’s pretty awesome! But my question is, how the hell did this thing evolve to have a biological jetpack on his back? I don’t know, I just feel like this alien had a lot of wasted potential. The jetpack is stupid and this alien’s annoying. 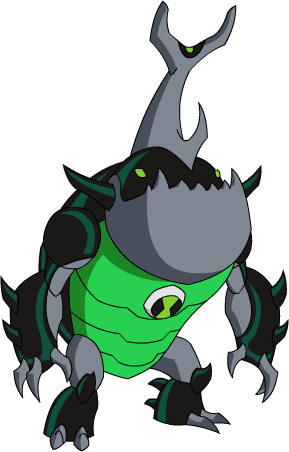 Ignoring the fact that in Ben 10: Ultimate Alien Eatle didn’t even look like a beetle, this alien is literally Upchuck. Like, to a T. The difference? Upchuck has four long tongues that he can use to grab objects from a distance, eat them, and spit them out as explosives. Eatle has the exact same powers, but a lamer design and no tongues. He brings nothing to the table that Upchuck didn’t already bring. Next! This is just an ugly alien with boring powers. Granted, new powers we’ve never seen before, but idk I just don’t like him. Probably just due to how ugly he is and how rarely his powers could actually come in handy. I don’t get the point to this alien. I feel like they were trying to make him look badass, but he just comes across as stupid to me. Plus, Rath is an objectively better alien in every regard. Rath was stronger and his blades aren’t in an awkward place. Seriously, how do you fight with blades on your elbows? That just seems like an awkward way to fight. 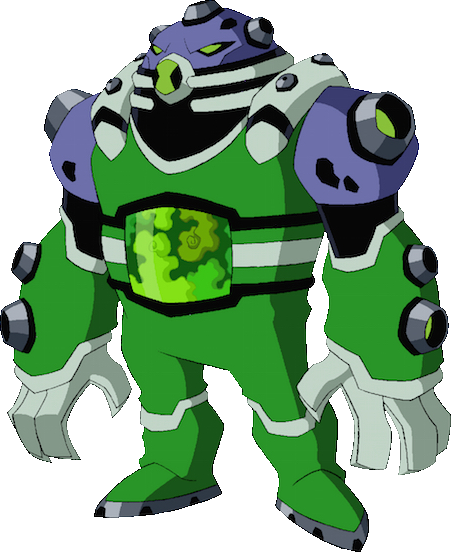 In the Ben 10: Omniverse episode “Outbreak”, the omnitrix breaks and unlocks a few really lame aliens. Said aliens, I actually kind of like. Not so much for the aliens themselves, but just the concept behind them. 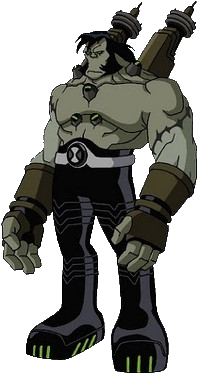 I mean, not every alien in the Omnitrix is going to be a super cool one with super strength or whatever. Some aliens are going to be pretty lame and useless. Like Walkatrout or The Worst (by the way, am I the only one who finds it ironic that The Worst is not on this lists?). However, Mole-Stache just really bugged me. His power is that he can manipulate his mustache. Yes, you read that correctly. That’s just way too silly for this show, even for Omniverse standards. I mean, why didn’t they give him large sharp claws with the ability to dig really fast? Ya know, like an actual mole! A small digging alien would actually be pretty neat, and sharp claws could give him some sort of weapon. Kind of like the Pokemon Drilbur. It’s a f***ing gorilla made out of f***ing leggos. How the actual f*** does that even work? How did this thing evolve? How is he made out of living plastic? I mean, granted, Diamondhead and Chromastone is living crystals, but at least crystals form naturally. 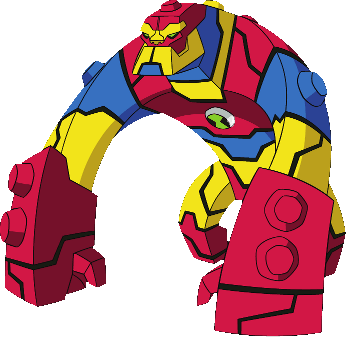 In the Ben 10 universe, were leggos based on this alien? Or was it a complete coincidence? I’m genuinely curious. Is Bloxx’s whole planet made out of legos? Are there leggo birds? Leggo lizards? Leggo snakes? What are the rules to this planet’s evolution? I just don’t even understand this. Imagine this alien in the original series. Yeah, ya can’t! The silliest alien Ben had in the original series was probably Upchuck, but he was only silly because his powers involved eating things. He wasn’t made out of artificially created objects like leggos!!! So, agree with this list? Disagree? Let me know below! My top 10 favorite should be up later today! Tomorrow at the latest. Peace! Ah, Bloxx. The alien designs started to get weird by “Omniverse”, though I suppose after four series the creativity is bound to start drying up. Thanks. You should see the Omniverse version of Echo Echo, he looks uglier. Never played the PS3 game. I did have a pretty fun Ben 10: Alien Force game for the wii. If I remember correctly, it gave you Swampfire, Spidermonkey, Humungousaur, Big Chill, and Jetray. 5 of his at the time 10 aliens. Pretty fun game. I definitely aim to collect them all so I’ll go for that game as well. It’s still one of the big franchises that I haven’t been able to get into yet. 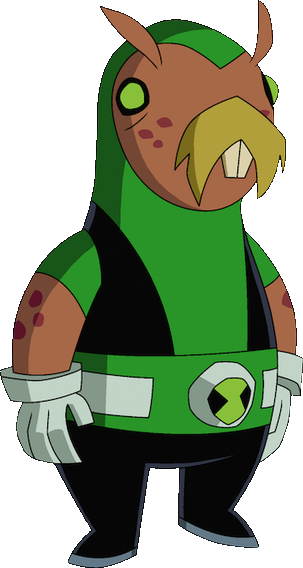 All I know about Ben 10 is from reading your posts and his role in the CN Crossover game. Pingback: Ranking the rest of the Ben 10 Aliens | Superhero etc. I agree that astrodactlyl and Fasttrack are not so great, but Bloxx(on my opinion)is ok. I really like Chromastone and the fact that echo is more powerful than Ditto. 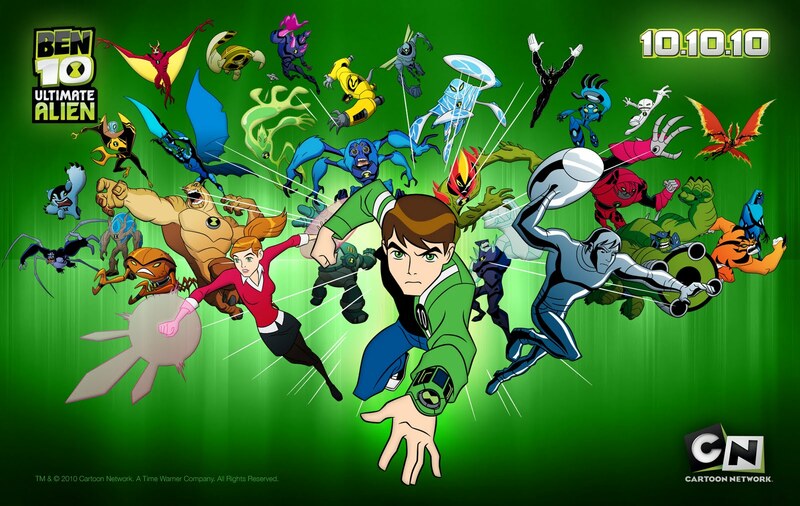 You say that the Ben 10 producers had a lot of repeats but could you think of all those designs? Really? They came up with 70 different powers, species, planets, and designs. And all you did was critic their choices. Lol Echo Echo is my 2nd favourite alien and I think Jury Rigg would have been a better choice to fit in this top, lol. I’ve never liked him and his ugly design.